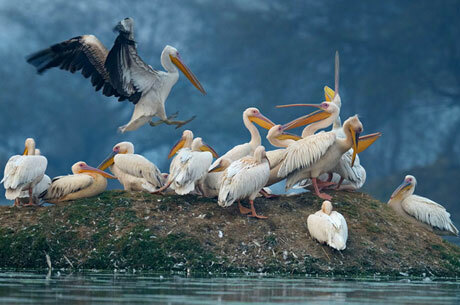 Keoladeo Ghana National Park is one of the best bird watching parks in the entire world & a UNESCO World Heritage Site. The chief attractions of the Bharatpur Park are the many migratory as well as domestic birds these birds come from Siberia and other Central Asian places to spend the winters here. Keoladeo Ghana National Park also known as Bharatpur Bird Sanctuary is one of the best bird watching parks in the entire world. 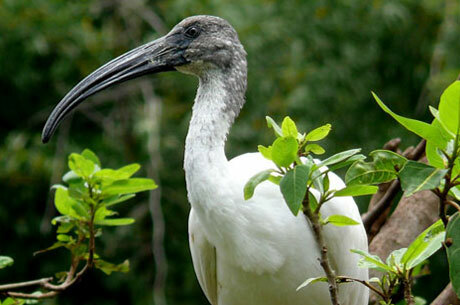 Bharatpur Bird Sanctuary or Keoladeo Ghana National Park is a sanctuary which also provides shelter to faunal races. 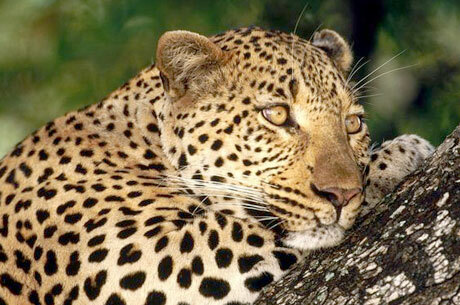 In Bharatpur Wildlife Sanctuary, you may also find Sambhar, Nilgai, Chital and Boar. While most of the national parks of India were the hunting reserves of former Indian royal families however, Keoladeo Ghana National Park is possibly the only place where the birds & other habitats have been formed by the king of Bharatpur. In earlier days, Bharatpur used to a place where in monsoon flood was a common thing. During 1760, a dam which was earthen namely Ajan Dam was built in-order to save Bharatpur from this natural yearly vagary. The despair formed by removal of soil for this dam was vacated which became the present Lake of Bharatpur. In the starting of the century, Bharatpur Lake was nicely developed. This lake was separated into many segments. An arrangement of making small dams, sluice, dykes and gates was made in-order to control the levels of the water in various parts. It also became the hunting place for Bharatpur royal family and also became one of the finest duck- hunting marshlands in the world. 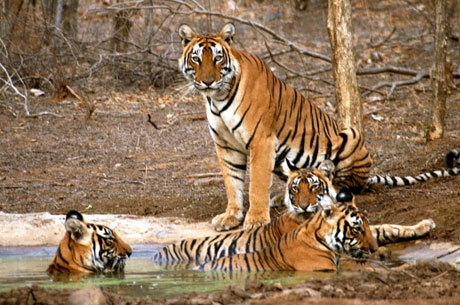 In mid 60s, the hunting was banned in India. On 10th of March, 1982, this place was made as a national park. 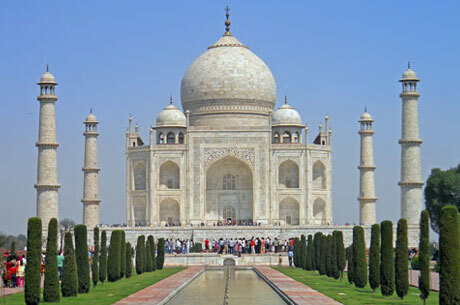 It was also declared as UNESCO World Heritage Site in the month of December, 1985. About 300 bird species are spotted found in the small Keoladeo Ghana National Park which is spread only in 29-sq-kms out of that 11-sq-kms area is marshlands and the remaining area is mixture of grassland and scrubland. The name Keoladeo is derived from a very old Hindu temple dedicated to Lord Shiva. This temple is located in the centre of Bharatpur Wildlife Park. The meaning of ‘Ghana’ is quite dense as this was a thick jungle covering the entire area. 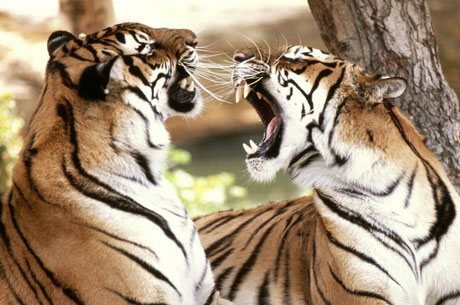 The chief attractions of the Bharatpur Park are the many migratory as well as domestic birds these birds come from Siberia and other Central Asian places to spend the winters here before going back to their respective breeding lands. The migratory birds at Bharatpur Wildlife Park are different kinds of Cranes, Geese, Pelicans, Ducks, Eagles, Hawks, Stints, Shanks, Wagtails, Wheatears, Warblers, Flycatchers, Larks, Buntings and Pipits etc. Government Museum of Bharatpur is one of the best attractions of the town. This museum offers a sight of the erstwhile royal grandeur of Bharatpur. It is very close to the Bharatpur Museum, Bharatpur Palace is a wonderful structural combine of Rajput and Mughal architecture. The unbeatable Lohagarh Fort that stayed unconquered in spite of numerous attacks made by the British government is a must visit place. Deeg Palace is located only 32 KMS away from Bharatpur. A very strong and huge fortress, Deeg Palace was built as a summer resort by the local Jat monarchs of Bharatpur. It has several stunning gardens and palaces. Although Keoladeo Ghana National Park remains open for the visitors throughout the year but the ideal time to visit the sanctuary is from August to November to see the breeding of resident birds and from October to February to view the migrant birds. There are distinct jungle tracks that can simply be visited on foot or through a cycle or by rickshaw which can be hired from outside. The rickshaw pullers are trained people by the sanctuary management to show the birds and are have good knowledge of the park. One may also do the boat ride in the lake. Early morning boat ride in the lake and late evening boat rides offer unforgettable experience to find out the hidden treasures of Bharatpur Wildlife Park. Air: Jaipur is the nearest airport located 176 KMS from the park. Jaipur is connected by air from major cities of India and also has few international flights. Delhi is also 177 KMS away from the park. Train: Bharatpur is a very important railway station and is connected with trains from major cities of India.